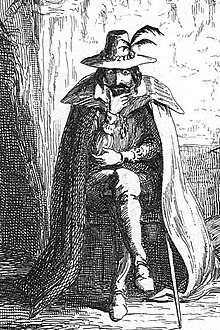 Míleatach Caitliceach Sasanach ab ea Guy Fawkes (13 Aibreán 1570 – 31 Eanáir 1606). Páirteach i gComhcheilg an Phúdair sa bhliain 1605 ina raibh lucht na comhcheilge ag iarraidh Tithe na Parlaiminte agus an Rí Séamus I a phléascadh agus na Caitlicigh a chur ar ais i gcumhacht sa tír úd. Theip ar a gcuid pleananna. Ní raibh tuairim láidir ag Séamas i leith an chogaidh chreidimh ar dtús, ach rinne baicle Chaitliceach, Guy Fawkes i ceannas orthu, iarracht ar é a dhúnmharú, is é sin, Comhcheilg an Phúdair Ghunna. Ina dhiaidh sin, chuir Séamus an Caitliceachas faoi chois. Cuireadh Fawkes chun báis (crochta, tarraingthe & gearrtha ina cheathrúna) an bhliain ina dhiaidh sin dá bharr. Tugadh an leathanach seo cothrom le dáta an 5 Samhain 2017 ag 08:36.